Quality control in manufacturing can be defined as the oversight of the different aspects of the manufacturing process. The main goal of implementing quality control in manufacturing is ensuring that products produced conform to the company’s, industry’s as well as consumer expectation every time. Having a system for quality control monitors everything including the parts being produced as well as the employees that are assembling the parts. It is not only the customer that benefits from quality control by receiving products of high quality, but also the manufacturer since it reduces costs and increases efficiency. To effectively implement quality control programs, you have to approach with caution. Imperfect implementation can be costly to the company. Effective implementation starts by defining the quality standard of each product. Then define the number of products to be tested before proceeding to employee training. Finally, there should be a communication system to report defects or potential issues in cnc manufacturing. 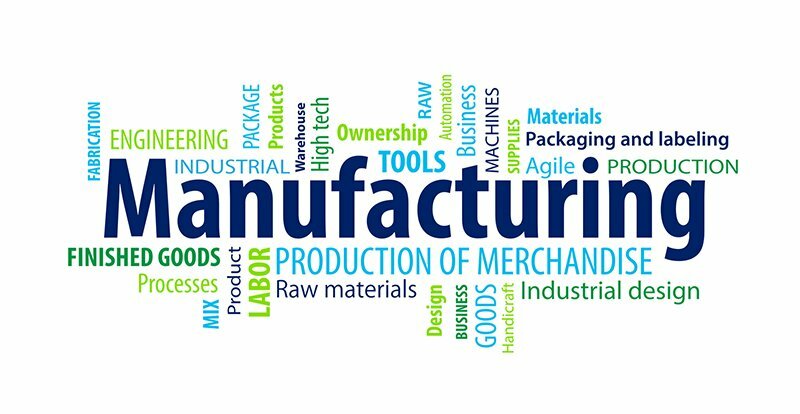 Below is an outline of the role of quality control in manufacturing in US. There is more to minimizing risks than having safety gear on the factory floor. There are plenty of other financial risks that should be considered not only in the factory but also after the product leaves the factory. Product recalls can be quite an expensive endeavor, they also influence the customer negatively hence tarnishing the name of your brand indefinitely. An effective quality control system that includes vigorous inspections at different stages of the manufacturing process helps ascertain that all manufactured products meet the minimum requirements before reaching the consumer. Resource conservation is important for manufacturers since it reduces the total upfront material expenses. It also helps improve the company’s reputation with its customers. With less assembly foul-ups there is greater throughput and higher gains for the manufacturer. The role played by quality control in resource conservation is making this a reality. Every industry has a set of regulations that it must meet including manufacture of cnc machining. Failure to comply with the standards set can be an expensive affair. It can also lead to production bottlenecks. A company with effective quality control systems will evenly distribute the checks throughout the entire process. Ensuring there are no financial losses resulting from bottlenecks in the manufacturing process. Consistency of the products produced and offered to the market plays a huge role in the overall company reputation. If you are not in a position to consistently produce high quality products, it will reflect badly on your company. Consistency not only affects your company reputation but it also affects production costs. If consistency is not upheld in manufacturing, you will definitely experience fluctuations in production costs. Quality control plays a huge role in ensuring you are consistent in the quality of products produced. Naturally, products from a stringent and intensive the quality control environment are of higher quality. Quality control ensures that each step meets the standards that you have set. The results will be an improved product of high quality. As evidenced above, quality control is an essential part in the manufacturing process. Not only does it ensure the company produces high quality products but also ensures that there is proper adherence to the standards set by the regulators. People should look for several items when they are choosing a precision machine shop to make certain that they make the right choice. The person in the shop that you are telling about your job or project should have great communication skills. They should be skilled at their job and know what the others in the shop can accomplish. If this person is experienced, they will also have questions for you to help you to describe your job in as much detail as possible. Great communication is the first skill to look for, because if you and the shop manager are not on the same page, your project may not come out as you saw it. A good precision machine shop is only as good as the available technology they use and it is based on the technician’s knowledge to use it. Research what types of equipment are needed to manufacture a prototype of your project. Then ask what types of equipment the machine shop uses such as CNC Machining, Manual Machining and Wire EDM. Also, ask if the process uses more than one type of machining for the run. The machine shop should also be able to have certified technicians to run the software available for the process so they can implement any changes in the design that you may ask for. Shops with the latest technology are forward thinking and will learn and implement new processes to keep up with the rising technology needed. A great machine shop will have a project book with photos of some of their past work along with the customer’s names and phone number and won’t be afraid to share these things with you. If they don’t give you references or explain past processes, they may be hiding something about their performance from you. The project book should have their most difficult jobs that they completed in it to show how capable the machine shop is in their business. Machine shops that are proficient in their work will have some sort of process to allow flexibility in the project while it is underway. They should report to you at certain steps of the process to make certain they are on track and be able to change things if it isn’t to your specifications. This helps to get the first prototype correct and sets in place the specifics for a full production run of your products. If they don’t have a schedule set up, you may want to look elsewhere for a precision machine shop that is more compliant. All machine shops should have a quality control inspector, whether in-house or out of house to ensure that your project meets all of the specifications that it should. They should be willing to talk about their quality certifications such as ISO 9001 and AS9100 standards and share with you what types of equipment they use to ensure the standards are met. Looking for these items will help you to find a quality precision machine shop that you can use for prototypes, parts and projects of any size to successfully fulfill your wishes and demands. Computer Numerical Control (CNC) technology has revolutionized modern manufacturing in the US. With CNC machining, the role of a CNC machinist (operators) has reduced significantly. The operator only feeds instructions in the computer, set up the required tools, feed the materials in the machine, and control speed leaving the computer to do the rest. Although the manufacturing industry looks promising, there’s a real scarcity of machinists in the US. Other than placing your ads in the local newspaper, radio, monster and indeed, Craigslist is also a good starting point that most take for granted. While at it, expand your search to major cities rather than concentrating on your locality. Make it easy for applicants to reach out by leaving the company’s details guiding to the company’s website for a direct application. Although most of the technical schools in the US have shifted away from CNC machining, you can still find a local mechanical engineering schools approach. Approach a couple of potential job candidates just before graduating before all of them are taken. Consider expanding your search to other states. In as much as you’d bring skilled workforce aboard, it may not be possible as fresh graduates from the US manufacturing schools may have no experience. But you can choose the talent with attention to detail and drive to learn and succeed then teach them on the job. Promise to increase their wages over time after the training, so they don’t run away to greener pasture after the training. Resumes are just a means used by prospective applicants to show off their supposed skills and abilities. Undoubtedly, resumes will help you separate the chaff from the grain. However, comparing the applicants solely by their resumes would be a disservice to the company. Some of the best machinists do not have the best resumes. Instead, consider giving the applicants a test to gauge their basic knowledge of the CNC machining. Some people get intimidated by a written test. Prepare a list of relevant questions and ask them verbally. Company Machinists have a proper understanding of the machines and other tools. They can help structure a test the cuts across all areas of the job. Involve in chit-chat to keep the interviewees at ease before hitting them with the tough questions. Allocate enough time for the prospective employees to spend time in the shop together with the interviewers so you can check out how they handle the machines. Hiring a CNC machinist can be a daunting task. The tips above should help you land the best candidates with ease. Tag Team Manufacturing is a modern manufacturing company specializing in machining CNC for OEMs in almost all industries. We can produce over 50,000 components annually and have the skills necessary to work closely with the engineers in producing prototypes. We’re working continuously to improve and develop our processes and capabilities. What factors impact the cost of raw material pricing? Raw material, whether wood, minerals, crude oil or even meat, all often have varying price points rising and dropping like the stock exchange. There are many variables at play causing this to happen. Each variable affects the price point of raw materials, causing it to increase or decrease for manufacturers, distributors and consumers. Here are several contributing factors to the shifting price of such materials. One of the most expensive aspects of obtaining and distributing raw materials is sourcing it. If a mine runs low on the source material, if a harsh winter kills crops or if a forest fire takes down acres of lumber, readily available material is reduced, which in turn causes the price of raw material to go up. The demand remains, but as the supply is reduced, prices increase. The transportation of goods is another major expense to moving raw materials to different regions both within a country and around the world. This is especially true when importing or exporting the goods. As new levies and taxes are placed on goods brought in from other countries, the price for the raw material goes up. Additionally, if transporting lumber by truck or train, an increase in the cost of fuel will increase the cost to transport the goods, which causes the cost of raw material to shift. Between transportation, sourcing the material, carrying for the material before it is ready to harvest or any other labor position along the way, if there is a shift in the work force there can be a shift in raw material pricing. If a union goes on strike, it affects raw material pricing as less of it can be transported or sourced from the earth. Other times, if the labor union reaches a deal and this includes an increase in pay, benefits or other aspects of their work, it in turn increases the price of raw material. Just about any shift in labor will have an impact on the cost of raw material. Most other aspects involved in the shifting cost of raw material can, to some extent, be forecast. Acts of God typically cannot. This is a sudden and often devastating event that affects not just part of raw material sourcing and distribution, but an entire region, city or nation. The exact definition for an act of God may shift, depending on insurance purposes. But, typically, tornadoes, flooding, hurricanes, earthquakes, violent winds, volcanic eruption, tidal wave or near any other natural phenomenon that happens with little warning can shut down production and transportation instantly and for an extended period of time. Forecasting the shift of raw material pricing is not an exact science. Like identifying a potential chance in a stock’s value, different variables are always at play. By understanding what factors impact the cost of raw material pricing, a manufacturer or user of the material can determine the best point of time in which to buy added material or when to hold off before buying additional supplies. One of the most polarizing elections in American history is now over and Donald Trump is the President of the United States. Trump promised to boost the American economy by bringing back jobs; however, the manufacturing industry has a right to remain skeptical of this promise. After all, it has been decades since American manufacturing was a strength of the economy. On the other hand, there are numerous reasons for Americans in the manufacturing industry to remain optimistic that manufacturing is on the rise. Numerous polls have already demonstrated that Americans are optimistic about the manufacturing outlook. Why is that? One of the biggest problems with the loss of manufacturing jobs to overseas is the high corporate tax rates imposed on American corporations, notably 35 percent. President Trump has promised to lower this tax rate to around 15 percent. This translates into more money in the pockets of the companies that they can then use to hire more employees and invest in the company. Companies may be interested in investing money in CNC automation technology. With lower corporate taxes, this can happen. An increase in infrastructure spending will demand an increase in American manufacturing jobs because, without the increase in manufacturing, there will be nothing to build this infrastructure out of. This means that companies will need to produce the materials used to build this infrastructure. This means more jobs in the manufacturing sector and more dollars heading into CNC manufacturing. There will be a significant amount of pressure on manufacturing companies to deliver the goods to fulfill the promises of the new president. This means a heavy investment in manufacturing jobs and manufacturing technology. Also called the TPP, this agreement has drawn the ire of the entire manufacturing industry because this is seen as the culprit that led to the massive job loss and movement of manufacturing opportunities overseas. President Trump has promised to renegotiate this deal, leading to bigger benefits for US corporations that keep their jobs at home. This means that more companies are going to need to hire skilled manufacturing workers to fill these positions. Those interested in positions in the manufacturing industry should keep their eyes open for changes to this agreement. This deal has been called NAFTA and has led to a significant trade deficit with our trading partners. This deficit has placed a significant amount of pressure on American manufacturing companies, specifically the manufacturing industry, because they feel they are fighting an uphill battle in the global market. A renegotiation of this deal in favor of American manufacturing could help to keep more companies in business, keeping more jobs available in the American economy. All of these reasons have combined to generate a positive outlook for the manufacturing industry under the new President. Contact Tag Team Manufacturing today for all your cnc manufacturing needs. 303.841.5697.